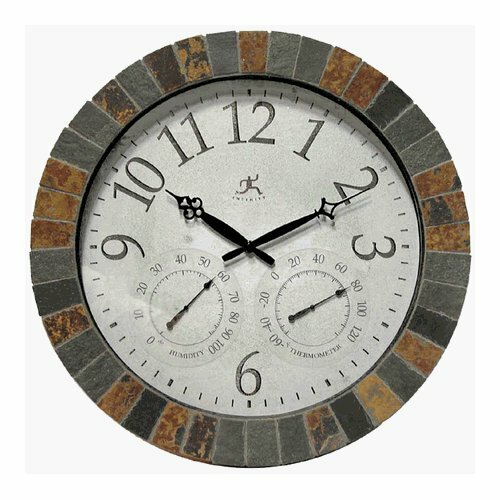 Slate mosaic wall clock featuring a thermometer and hygrometer. Decorative black metal hands and Arabic numbers at every hour except 4, 5, 7 and 8. For indoor or outdoor use. Operated by a highly accurate quartz movement. One "AA" battery, not included. Guaranteed by a one year manufacturer's warranty.